Yeap! That’s me with the pretty face and lovely makeup. My roommate bought a foundation that was too light for her face and while she was complaining someone brought up the idea of face contouring. All we wanted to do was try out this foundation and it ended up with a full face make-up. Unfortunately my camera wasn’t within reach so I couldn’t take some ghen-ghen pictures so I resolved to selfies, I apologize for the picture quality. 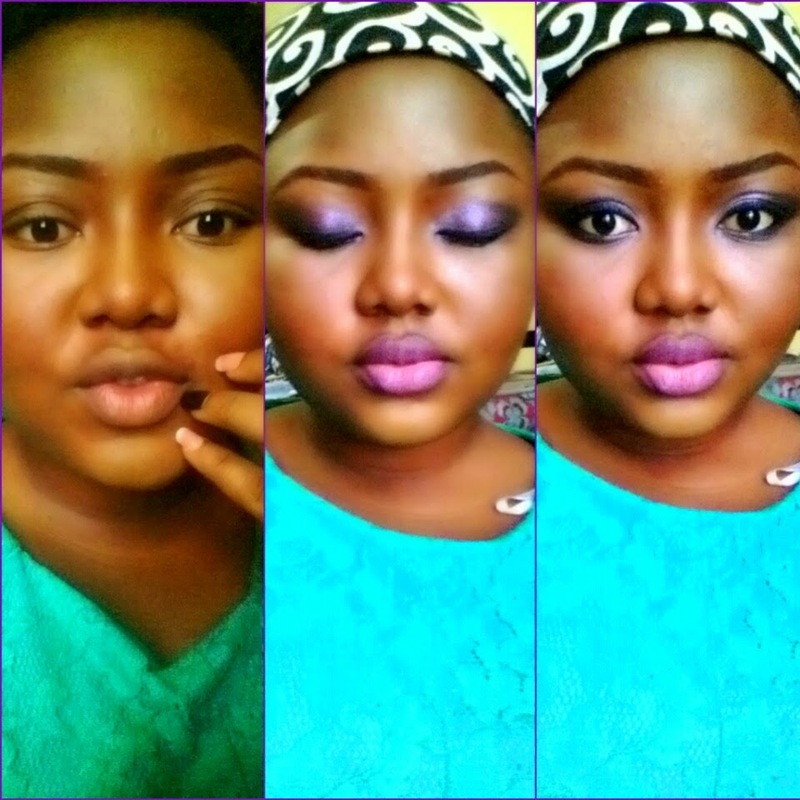 The eye make-up is a purple Smokey eye which I love, I’m not a purple colour fan but I love the outcome of this one. If you’ll love a tutorial on this look let me know in your comments and also what time of the day would you rock this look? Finally the Bobby brown 24pc make up brush. The color's a very daring one. But I wud give it a try any day soon. thanks Portia and please share pictures when you try it out. alright Reggie, I work on that.